Butterfly Reflections, Ink. 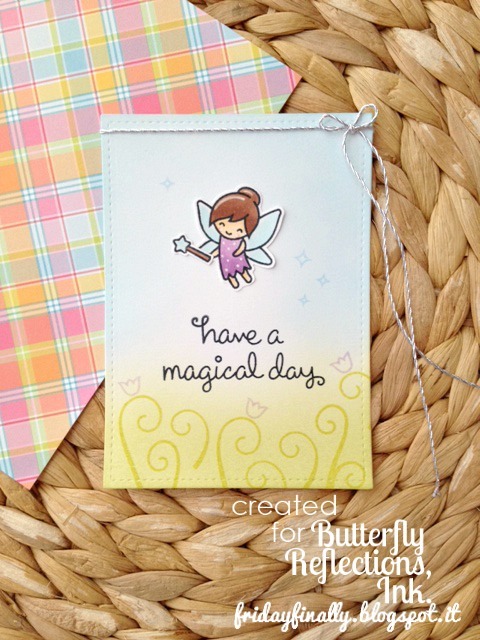 : A "Fairy Friends" set of cards feat. Lawn Fawn! 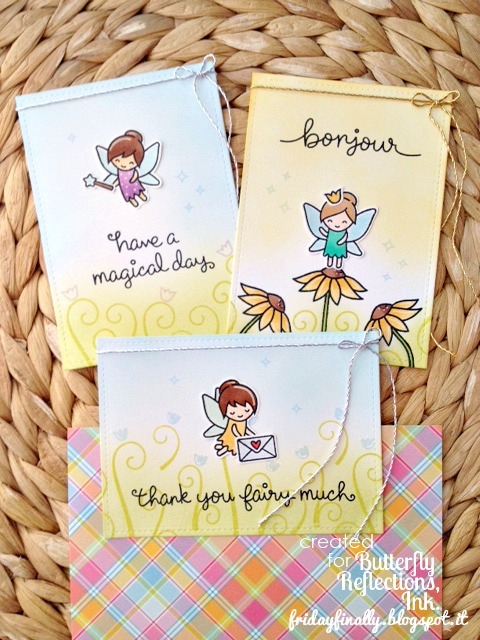 A "Fairy Friends" set of cards feat. Lawn Fawn! It's Franci ( friday finally) here today with a cute "fairy friends" set of cards feat. Lawn Fawn! These fairies are adorable! Soo super cute and pretty! 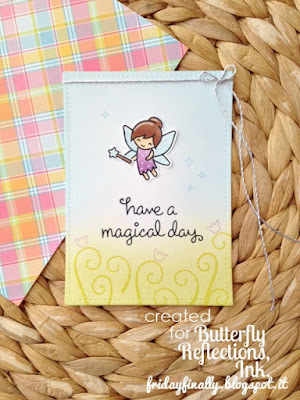 I decided to create a set of cards today, lots of scene and use all the sentiments included in the "Fairy Friends" stamp set. 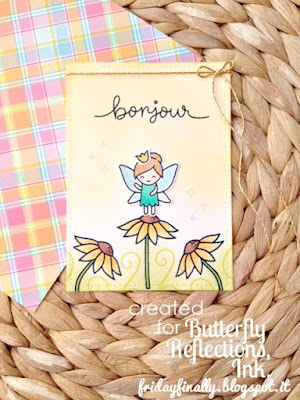 Here are some photos of the cards..
First i die cut some stitched rectangles, then i gave them some colors with distress inks ( i used Tumbled Glass, Spiced Marmelade and Shabby Shutters colors for all the cards). Then i stamped all my images on some white cardstock with the Memento tuxedo black ink, i colored them with my copics and i cut them leaving a little white border ( you can also use the coordinated dies to have perfectly die cut images). 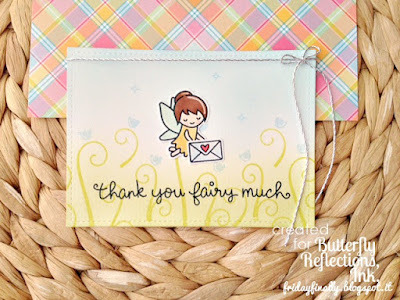 I stamped my sentiments with the same black ink used before and some embellishments like all the leaves, the little flowers and the fairy dust sparkles with some green, light blue and violet ink. 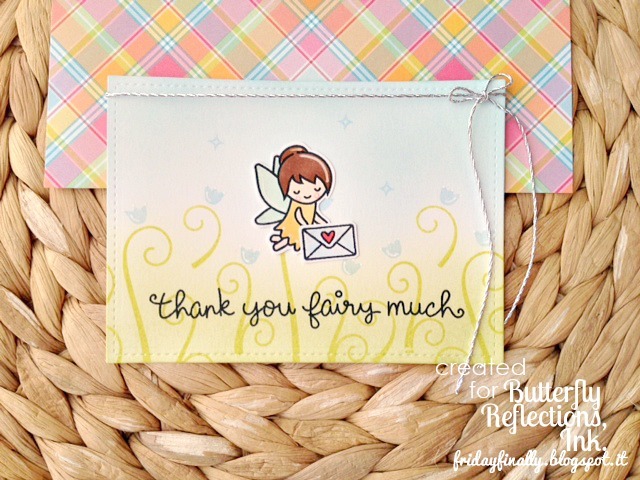 For my last card i also included a little happy mail from the Gleeful Gardens stamp set! So cute and so fine yours backgrounds!! !